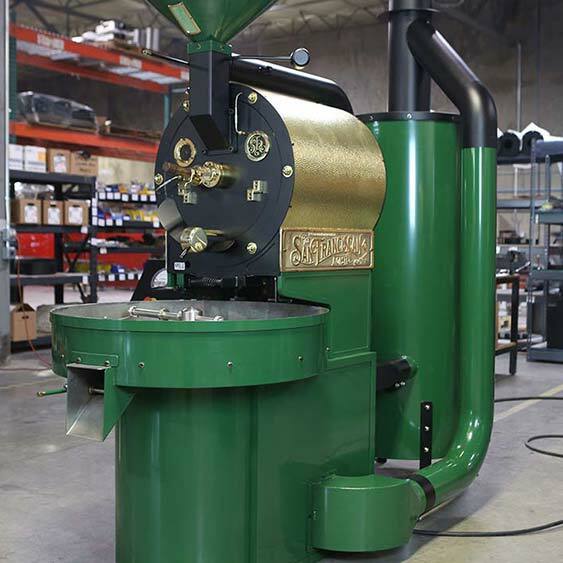 The SF25 from the San Franciscan Roaster Company is powerfully built and meticulously designed to produce great roasts, time after time. The SF25 is able to roast from 6 pounds (3 kg) to 25 pounds (12kg) of green coffee per batch with up to 4 roasts per hour, providing a maximum roast capacity of 100 lb. per hour (48 kg/hr). The SF25 is able to run on either natural gas (LNG) or propane (LP). In order to boost efficiency, the SF25 is outfitted with an afterburner specifically designed to comply with the most stringent air quality control mandates. 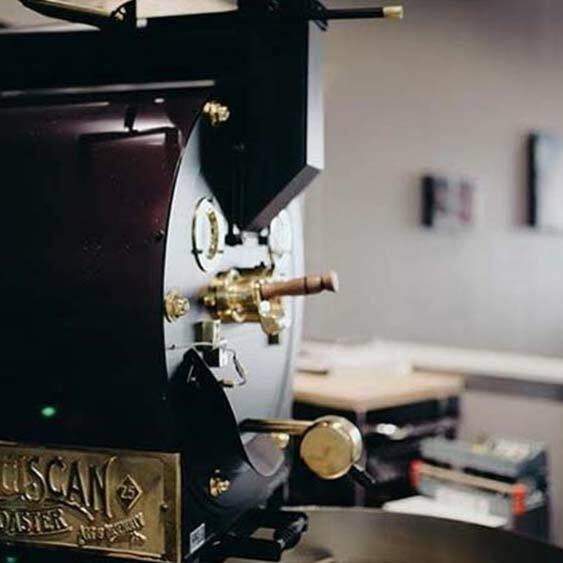 The San Franciscan Roaster Company goes above and beyond to offer the best products to specialty drum coffee roasters all around the world. 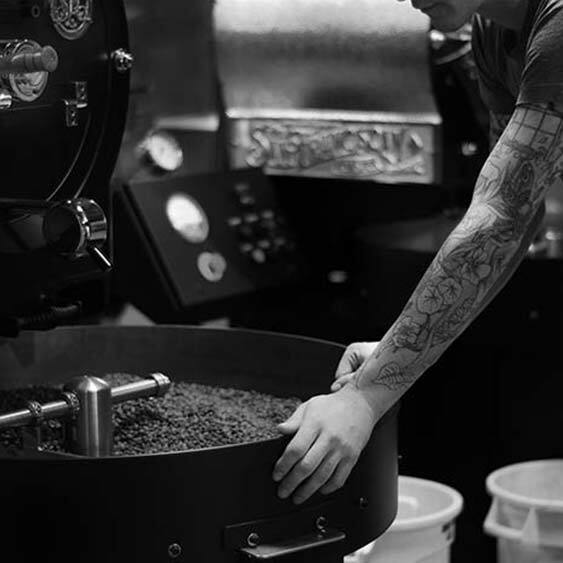 All of our roasters are handcrafted with love in Carson City, Nevada. 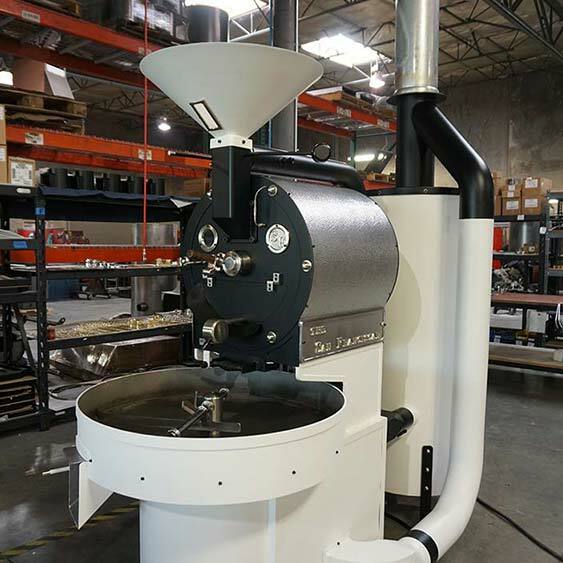 If you’re looking for the perfect small-batch roaster for your coffee shop, choose the SF25! 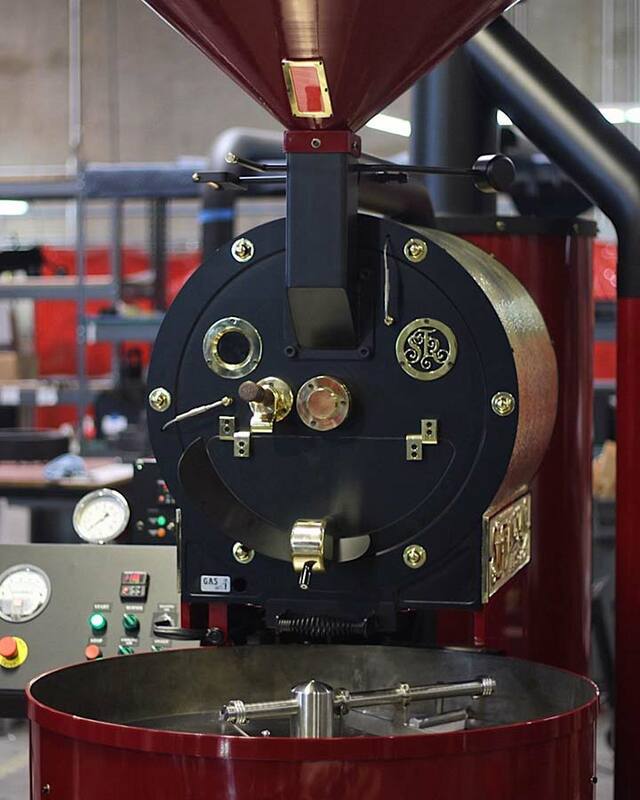 In order to make the coffee roasting process as efficient and eco-friendly as possible, the SF25 is outfitted with an afterburner that burns up any smoke and odor created from the roasting process. 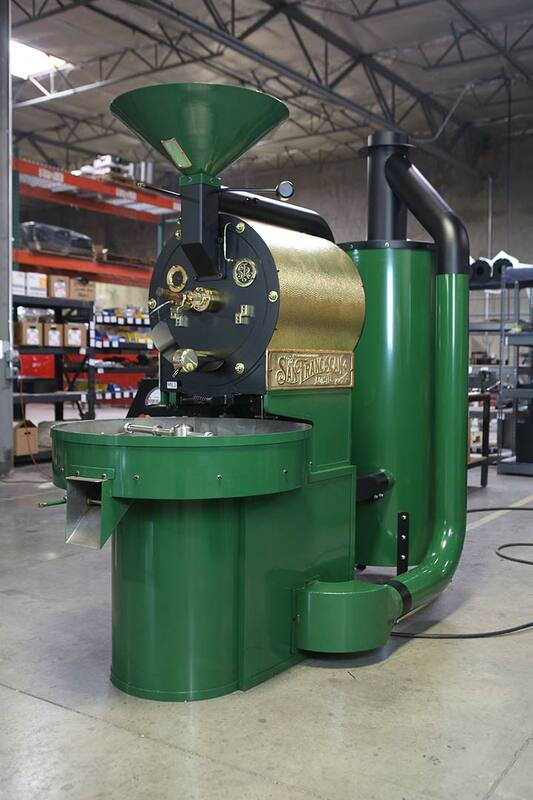 This addition, which comes standard with all SF25 roasters, leads to a smaller environmental impact. 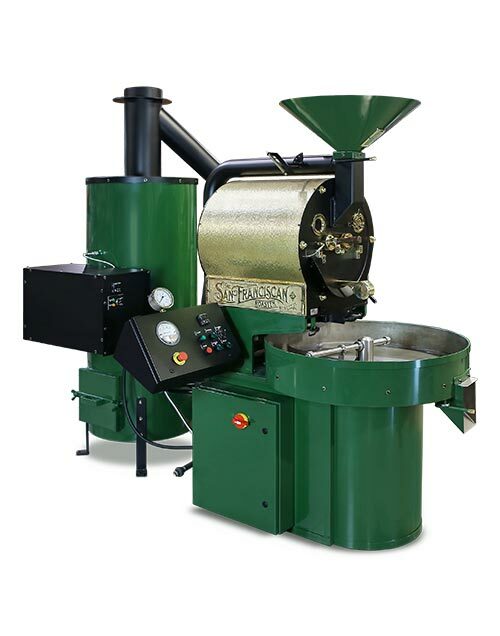 The afterburner and chaff collector are combined in a separate cylinder behind the roaster for ease of maintenance. 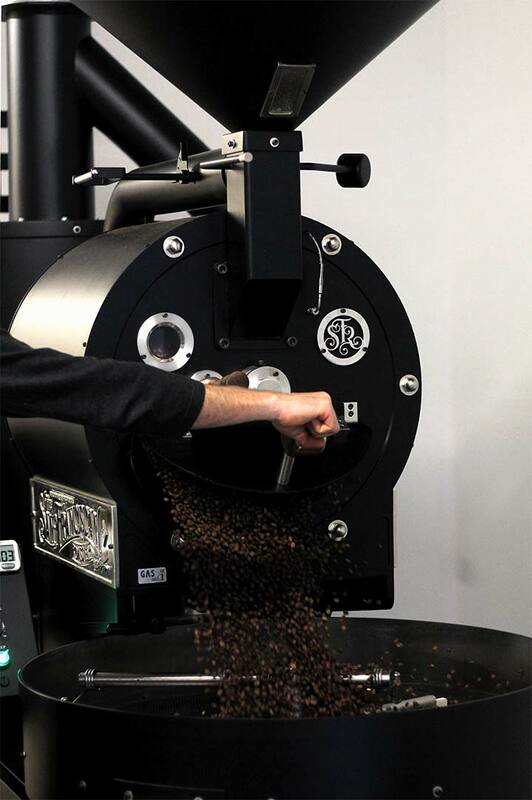 Much like our other roasters, the SF25 is compatible with most data-logging programs. The SF25 comes equipped with a variable drum rotation speed, a built-in afterburner, a hot air damper, and a variable speed hot-air fan. We only use high-quality, American-made motors, sprockets and bearings. 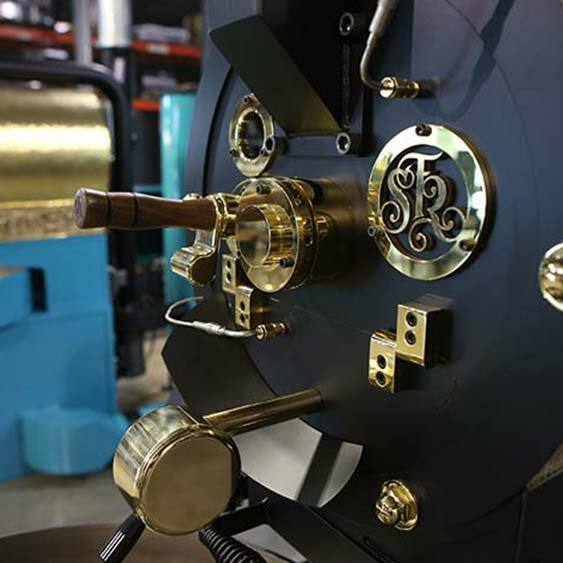 The gas and electric parts of the SF25’s are also American-made to guarantee quality and longevity. 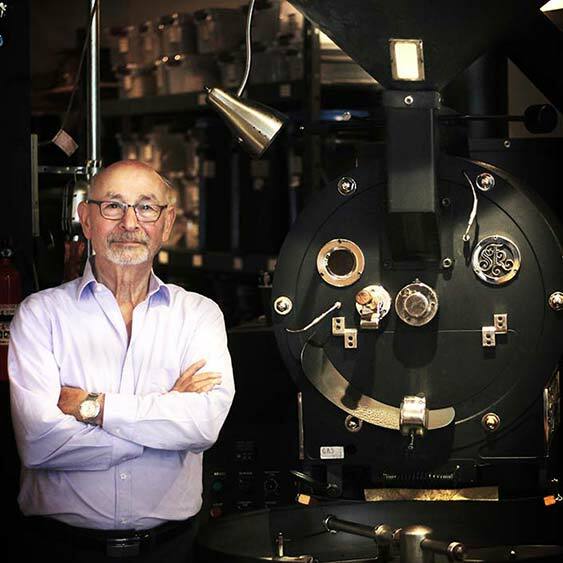 At The San Franciscan Roaster Company, we make use of only the highest quality materials in order to create roasters that will last a lifetime. 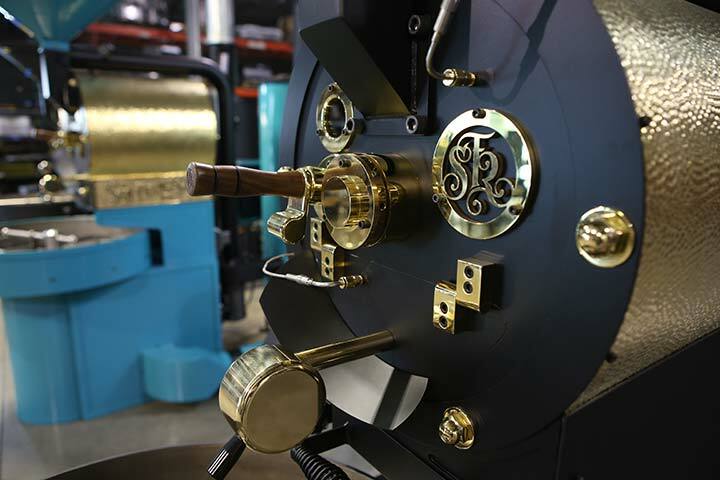 Every single one of our roasters is meticulously handcrafted to suit your exact specifications. Our products are all designed and built in the United States, with American-made parts. There should be a minimum of 18″ clearance completely around the machine. The vent piping should be rated for the US Standard UL-103HT, approved for positive pressure, 8″ inside diameter. The machine is fused with 20 amp. main fuses. A 30 amp. power source to the machine will be more than adequate. 220 volt, four-prong grounded plug-in. 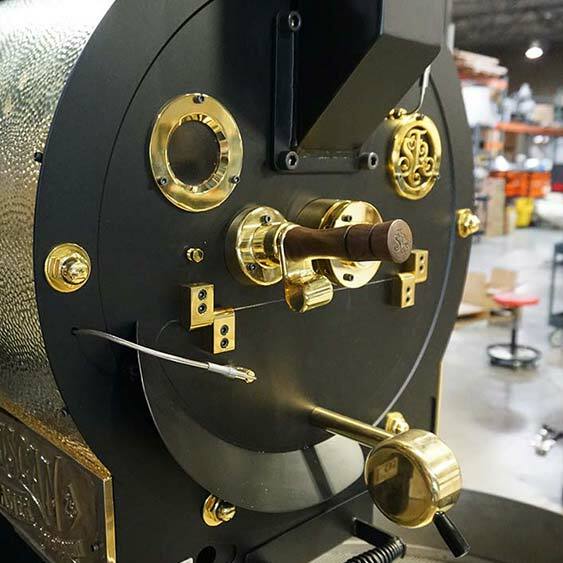 The gas supply should operate at 7"WC Natural Gas or 11"WC Propane at 100,000BTU for the Roaster and 250,000BTU for the afterburner, with a 350,000BTU combined maximum output. Check with your local gas company. 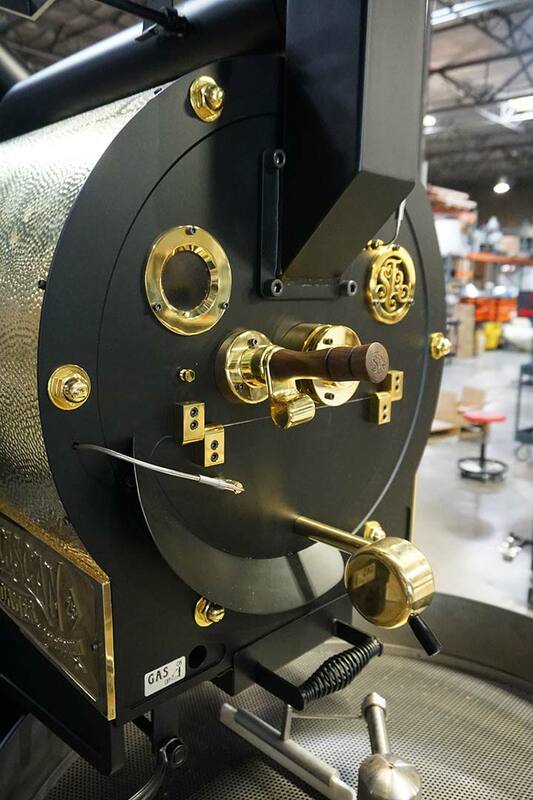 The roaster should be bolted with 4 1/2″ floor anchor bolts. A roped off or fenced in operating area is suggested. 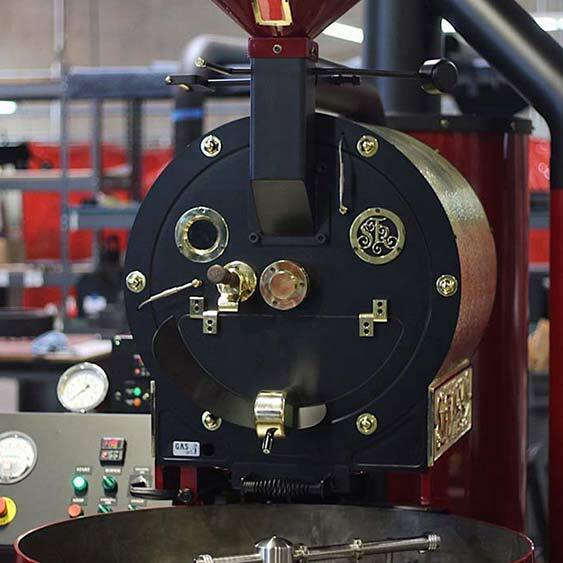 NOTE: Skin surfaces of afterburner can reach temperatures of 150 degrees F.
Also, note that all of The San Franciscan Roaster Co. manufacturer’s suggested installation requirements are just suggestions. All federal, state and local codes do take precedence over any of our suggested installation requirements. 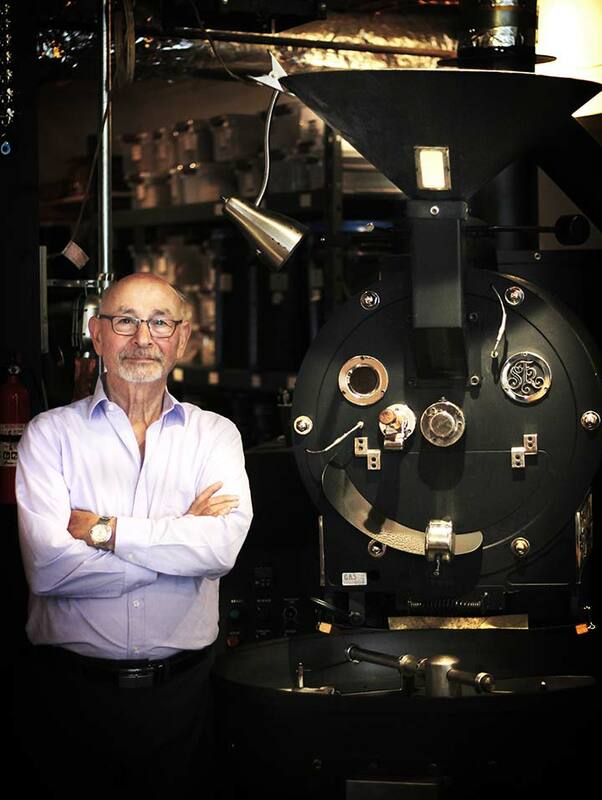 San Franciscan Roasters are hand-made in the USA. 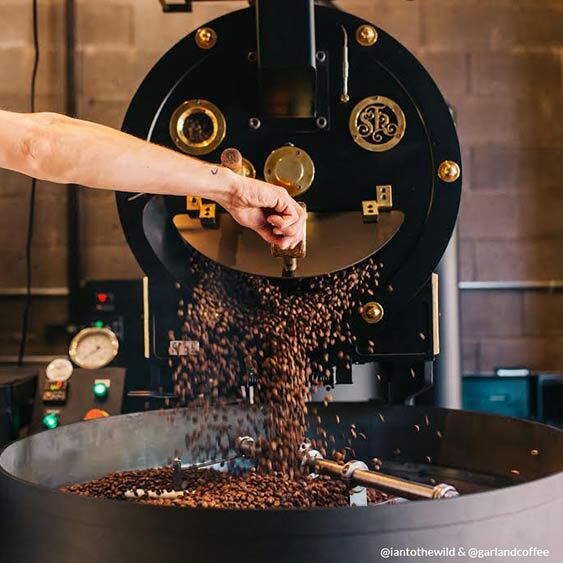 The roaster is a continuous batch roaster – it roasts and cools at the same time; therefore you can do four roasts per hour (100 lbs). Roasting time is 13 to 15 minutes. Maintenance is easy and simple. The pipes are exterior and can be taken off to clean by removing the band clamps. Cooling tray detaches easily for cleaning. Minimal maintenance is required – Lubrication of bearings every 30 days. The cooling sweep pivots off of lifetime bearings so no lubricating is necessary. 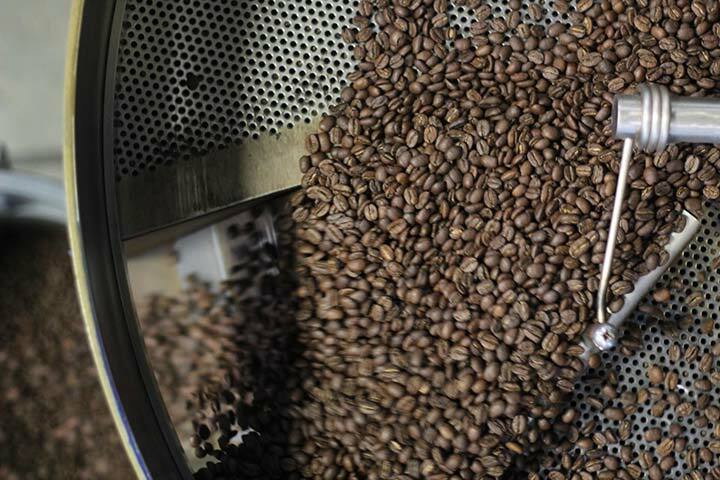 Broken beans can be removed easily, due to the design of the ashtray on the front of the machine. The San Franciscan is ETL approved as all electrical components meet the Electrical Testing Laboratory regulations. 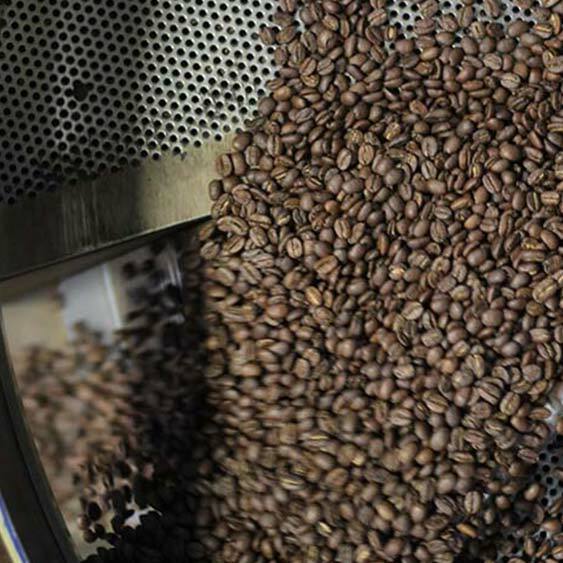 Hot air flow is controlled through the roaster chamber by a hot air damper. 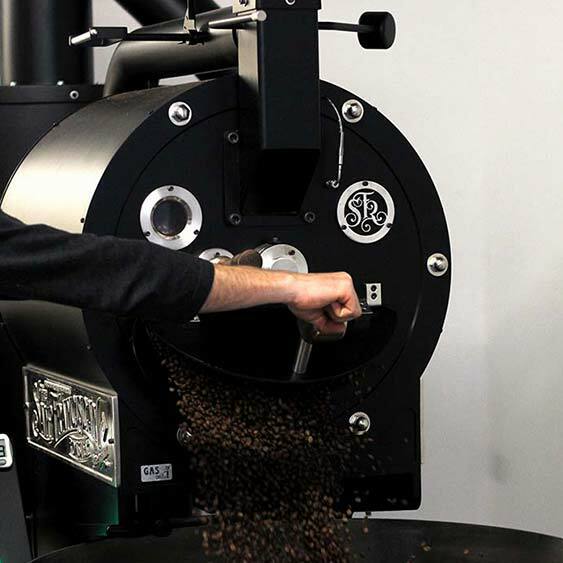 The roaster lights automatically and the burner is easily seen through a sight hole. All San Franciscans are powder coated with powder baked on at 400°F making the surface very durable. 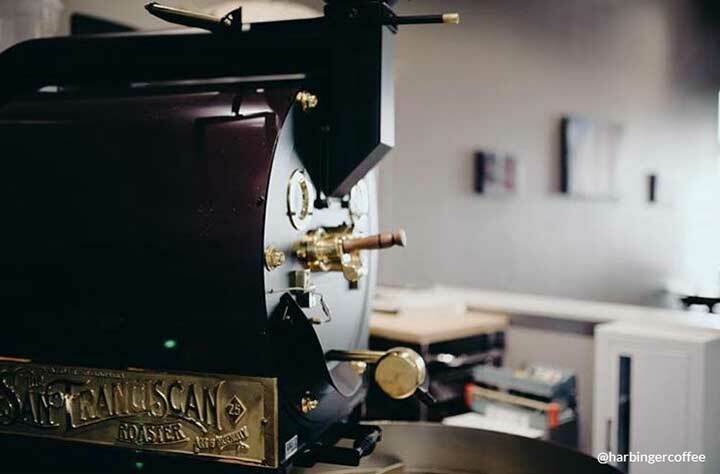 The San Franciscan Roaster is made of 100% schedule 40 steel and contains no cast iron to enable it to withstand constant heating and cooling without any deterioration. The faceplates are 5/8ths inch steel. 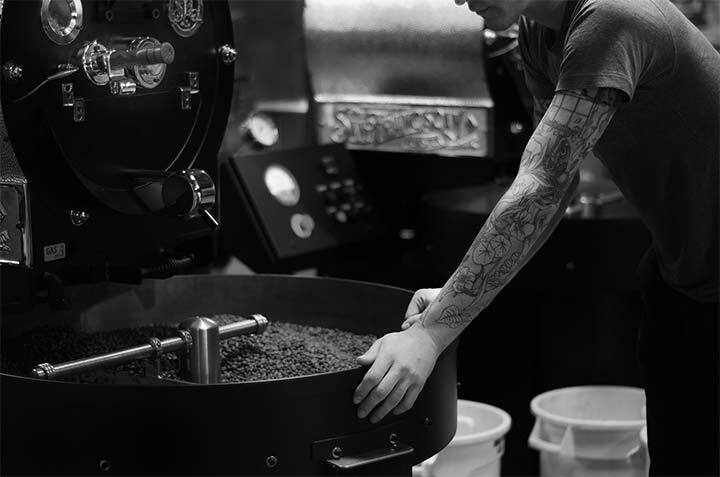 San Franciscan Roasters are compatible with most data-logging programs and your choice of data logger can easily be built into your new roaster. 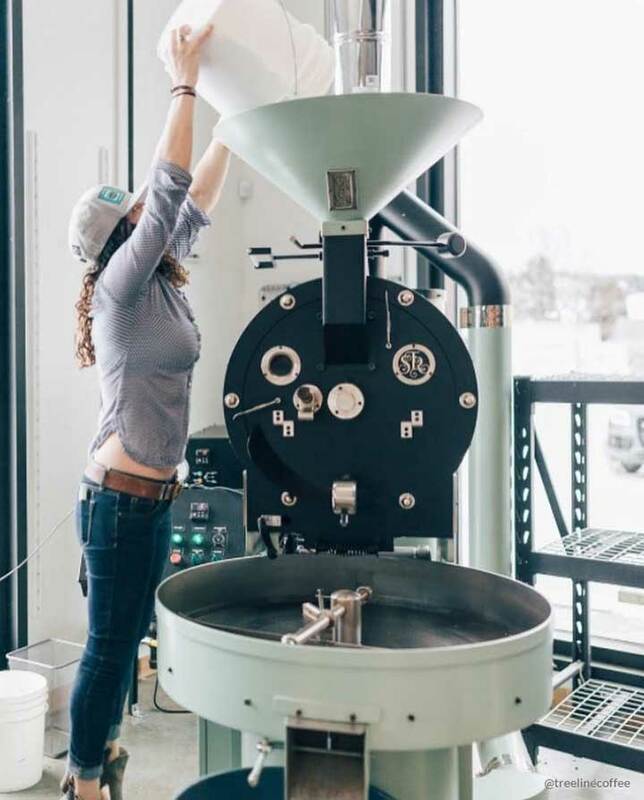 There should be a minimum of 18″ clearance completely around the machine. The vent piping should be a UL-103HT approved for positive pressure, 8″ inside diameter. The temperature rating should be no less than 1,400 degrees continuous duty and 2,100 degrees intermittent. If not more than 30′, 3/4″ black gas piping will be adequate; otherwise, check with your local gas company. 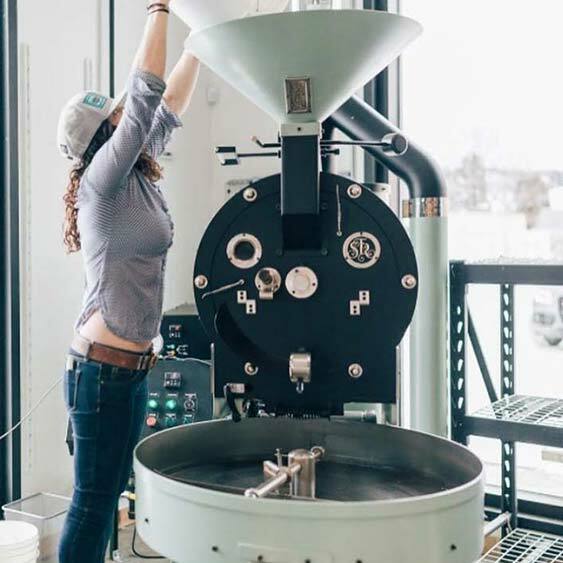 Tell them the actual footage from the meter to your new roaster and that you need to be able to operate an appliance that will consume 2lbs of gas per hour at 7 water inch columns of gas pressure.